While Julia and I camped out with the IGERT cohort 2 this last week, Corina Gamma, a documentary filmmaker in Greenland filming for her latest project Warm Greetings, visited us out at camp to get some footage of what the IGERT crew is up to. In the morning, I was able to chat with Corina, over oatmeal and coffee, about her project and the motivations behind it. 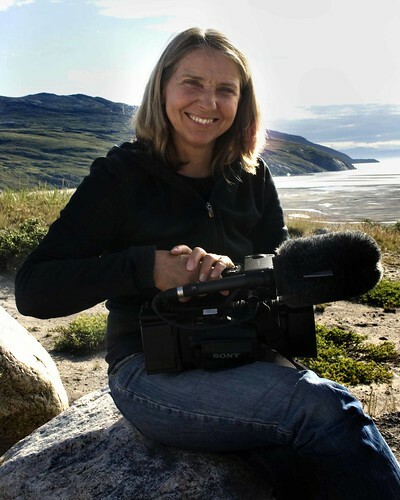 Corina’s film intends to explore two stories occurring in tandem in Greenland during this period of dramatic social and ecological change. These stories are that of the Greenlandic Inuit, reflecting on their long lasting and strong connection with the land; and that of the scientists studying Greenland, piecing together the picture of the earth’s climate history and it’s future. 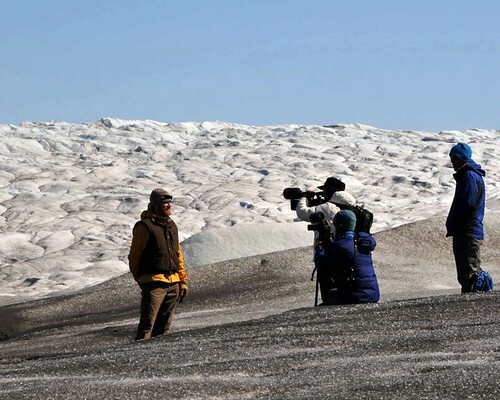 Through exploring these two stories together, the film will demonstrate the interconnectedness of these perspectives and attempt to put forward a more complete description of Greenland’s current situation and potential future state. In my mind, both the IGERT program and Corina’s project are two responses to the same question: how do we overcome the gap between science and public understanding to raise awareness and enact real, sustainable changes? IGERT fellows, on top of making a commitment to further the body of scientific knowledge in their respective field of study, also have recognized the importance of communicating this research beyond the scientific community and engaging in constructive dialogue surrounding these issues. One of the main goals of the IGERT program is interdisciplinary learning. And while this goal includes the interactions between students in earth sciences, engineering and biological sciences, importantly, it also means extending the impact and understanding of these research questions into social and political realms. Just today the IGERT cohort 2 took off on a flight to Nuuk (the capital of Greenland) to spend the week meeting with local residents and key political figures. During Corina’s visit, it was inspiring to see the confluence of these two approaches to solving the same problem. Truly an interdisciplinary moment! And to read Corina’s own blog post about visiting the IGERT students, click here.